Here’s a video I shot for freeCodeCamp about the Definition of Ready. Have you ever started work on a user story that wasn’t ready to work on yet? Create a Definition of Ready to establish reasonable guidelines as to what conditions need to be met before you pull a user story into a sprint or begin work on it. Creating and following a Definition of Ready could double the speed of your team. Here’s a video I shot for freeCodeCamp about the Tradeoff Matrix. When we work on projects with fixed dates, scopes, and resources, we run the risk of burning out our teams and compromising quality. Use the tradeoff matrix to agree with your stakeholders as to what you’ll do when things—almost inevitably—don’t go exactly as planned. I shot an interview with Adolfo Foronda about building the right product as a product owner. Check it out! Click “Continue reading” below for my speaking notes, which are an approximate transcript. I shot an interview with Adolfo Foronda about saying “no” as a product owner. Check it out! Click “Continue reading” below for an approximate transcript. Originally published on the eBay Tech Blog. Agile product owners use a backlog to organize and communicate the requirements for a team’s work. Product backlogs are deceptively simple, which can sometimes make them challenging to adopt for product owners who may be used to working with lengthy PRDs (“project requirement documents” or similar). Therefore, we prefer the term team backlog. Our working definition of team backlog is “the maintained, ordered list of work that the team plans to do now or in the future.” This is a dense description, so let’s unpack it a little. This is based almost verbatim on the metta practice described in Upasaka Culadasa’s book, “The Mind Illuminated.” I have recorded this with his permission so that I may offer it freely to everyone. Many people find it challenging to generate the positive feelings and thinking of people to send these well wishes towards. If this is the case for you, I also suggest reflecting and brainstorming a bit with this worksheet I have created. Take your time with it as the process of reflecting is also a valuable exercise. You may well discover how sweet your life already is. I hope you find it of great benefit to you. This is my first time recording a guided meditation, so I hope you’ll share your feedback and ideas with me! I recorded it on a MacBook Pro using GarageBand and a Samson Q2U handheld microphone. The ending bell and ambient forest background sounds are both public domain, courtesy of the fine folks at FreeSound.org. I decided to use a bit of a very quiet nature track in the background to replicate what this might sound like if I had recorded it at a place like Cochise Stronghold Retreat rather than my apartment in San Francisco. Otherwise the absolute silence interspersed with my voice every minute or two might have been too jarring. My dear friends John Furey and Vincent Fortunato have been working on a project called MindTime for many years. I first learned about it several years ago and it’s become a dominant—and very useful—lens through which I’ve come to understand myself, friends, concepts, and communities. It is, at its simplest, a highly-predictive personality profile. At its broadest, it’s a tremendous lens through which to understand human behavior. Unlike the MTBI and similar profiles which uses culture-specific linear axes (e.g., extroversion and introversion don’t mean as much in East Asia), MindTime focuses on people’s universal relationship with time. 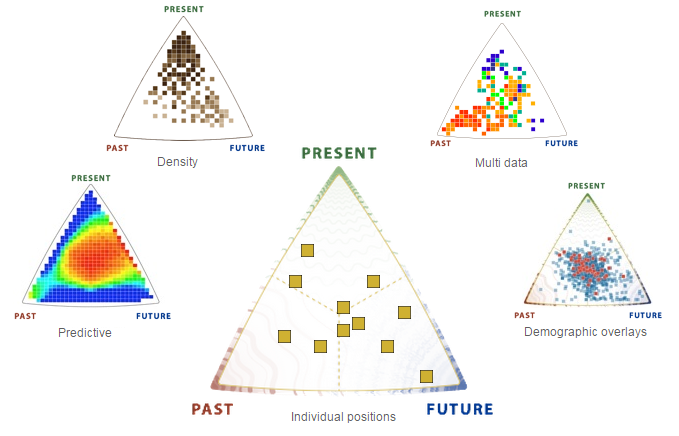 If I were to say that people are varying degrees of past-, present-, and future-thinking, I imagine this would already make intuitive sense to you. Further, this can be applied to any word, idea, company, community, brand, and even country. Republicans are generally past-thinking (“Make America Great Again” implies that the past was better) versus Democrats are generally more future-thinking (Obama’s “Hope” is the idea that things will be better in the future). As an aside, I think Clinton’s “Better Together” was too present-thinking to appeal to future-thinking millennials. If a heavily future-thinking person finds themselves in a heavily past-thinking company or team, there may be a lot of conflict. Same goes for relationships (from personal experience). Simply understanding where everyone is coming from can improve empathy, happiness, and performance. My friend has used this to help develop teams at a variety of companies. If you’re intrigued, check out their site or try the profile (free, no registration, takes about 2 minutes). I’d love to hear your thoughts, especially whether or not you find the results both specific and accurate. For you past-thinking dominant types, you’ll be delighted to know that there’s very solid science behind it. I recently came across Mark Graban‘s “Highlights from the Original 1984 NUMMI Team Member Handbook” series. Digging through the archives at Ephlin’s UAW office papers were archived at the Walter P. Reuther Library at Wayne State University in Detroit, Mark found some absolutely extraordinary gems, including this one. Standing on the shoulders of giants, I reached out to the archivists at the library to see if I could get a copy of the full handbook. They cheerfully obliged, and rather quickly at that! Grab the PDF and peruse for yourself. The first several pages are the most interesting, but even as you explore the rest of it pay attention to how human and reasonable it is. Mark provides an excellent commentary on several key sections, so I’ll try to avoid highlighting the same thoughts. I hope you’ll share your own findings and commentary in the comments below. 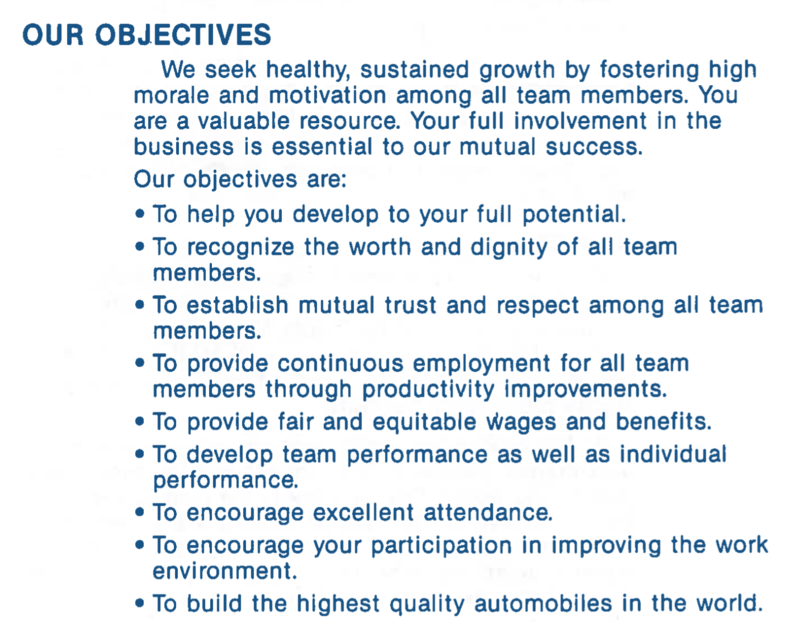 Notice that the first objective is “To help [employees] develop to [their] full potential.” In fact, these objectives start with the individual employee, progress to the company, and then ultimately end with the customer receiving the “highest quality automobiles in the world.” This is a notable inversion from the usual objectives, which usually prioritize stakeholders and customers, then the company, then—if at all—the individual employee. This is extraordinary in two ways. 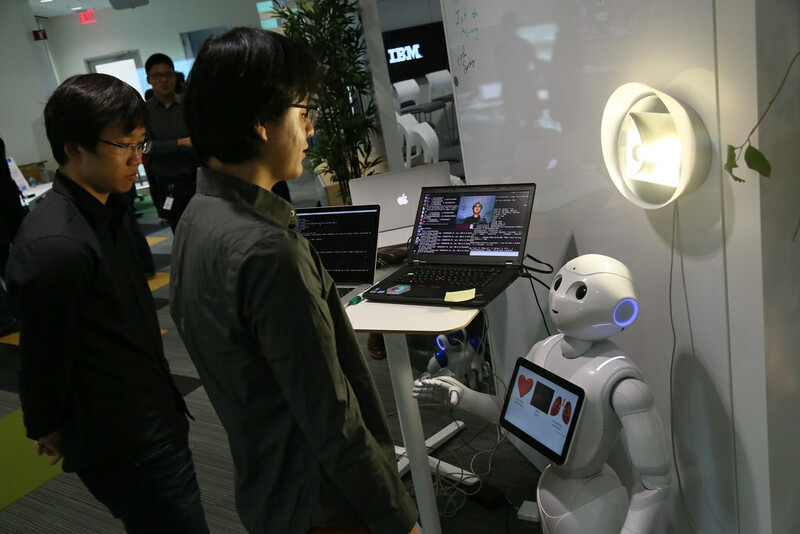 First, employees are given the expectation that they are going to have a greater autonomy and influence over how other aspects of the organization operate. I’ve heard the statistic that Toyota’s 300,000 global employees make a total of one million suggestions annually, 97% of which are implemented. Secondly, note that the employee handbook is characterized as helping the employee “do [their] job better,” a far cry from the usual purpose of this kind of handbook (protecting the company’s interest). Note: I am a student of Culadasa’s. I am in his teacher’s training program and have attended three retreats with him. I wrote this review after attending my first retreat with him and before becoming formally accepted as a student. This is a review of Upasaka Culadasa’s (John Yates, PhD.) book, “The Mind Illuminated,” that I wrote for Amazon.com in August of 2015. It is presented here with a few minor edits. I spent ten days at a meditation retreat with Culadasa, his wife, and about a dozen fellow students in July ’15. Culadasa had a few pre-print copies of this book in various stages of editing that he made available to us to refer to during our retreat. I first heard of Culadasa in November ’13, when I attended a friend’s refuge vow ceremony and received teachings from two of his students. I have given away over 70 copies of this book to friends, family, and colleagues. It is a game changer. I hope that this review will sufficiently explain why I (and other Culadasa students) are so excited about its publication. From my experience with Culadasa, it seems very clear to me (from my limited perspective as a student) that he has attained and understood the meditative accomplishments that he describes with great clarity in this book. He lovingly shared his wide variety of experiences with his students during his retreat at many stages of the path. He was patient and precise, taking enough time to ensure that each of his students understood his explanation before moving on. His care in meeting his students where they were at and providing insight and useful advice in person is borne out in this book, where he lucidly explains each of ten stages of shamatha-vipassana meditation practice in elegant, crisp, and approachable detail. 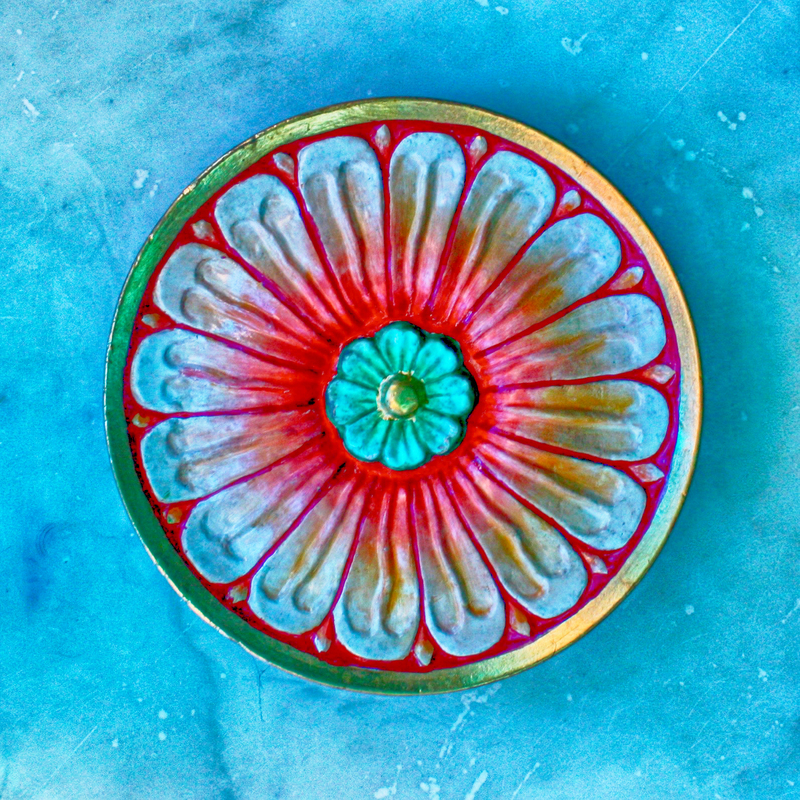 I think the biggest challenge with every other meditation instruction I have received to date is to “follow the breath exclusively, and when you lose the breath, come back to it.” What I’ve learned from Culadasa and his students is that this is inadequate instruction that could lead one to meditate for years or even decades without realizing the full benefits. Meditation is relatively simple and easy, but there are obstacles that can be overcome with judicious use of “antidotes,” and different stages of practice require slightly different approaches. These stages are not experienced linearly, but nevertheless it is useful to know where you are at a given moment and gently adjust the technique. In addition to describing ten stages of shamatha-vipassana meditation practice, Culadasa also presents an extraordinary model for how the mind functions. Although I am still a novice meditator, I can see how this model describes the activity within my mind and have found it both interesting and useful. The thing that I find so extraordinary about this book is that it is written and reads like a well-written college-level textbook. This means that the book describes very complex and difficult subjects in a way that is highly accessible to the millions of us who have been blessed with a college education. Most of the meditation and buddhism books I have read are filled with impenetrable jargon in which the meaning of each word is opaque but central to the teaching. 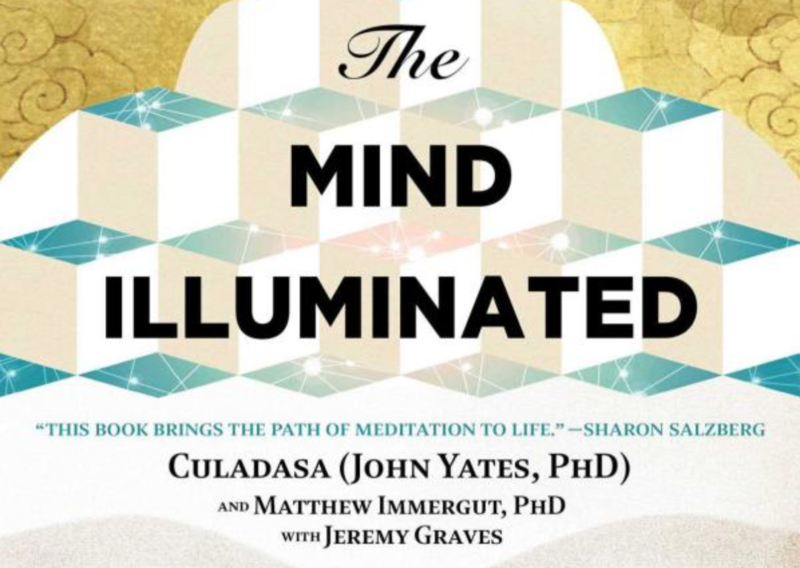 Culadasa, Matthew, and Jeremy have done an extraordinary job writing a book on meditation that is accessible to those that have little or no exposure to Buddhism in general. The book’s illustrations further serve to make challenging concepts straightforward. I feel deeply humbled, blessed, and grateful to have access to these extraordinary teachings. May these teachings spread far and wide so that all beings may be free from suffering and ill will, so that all beings may be filled with loving kindness and happiness.